What Does Historical Change in Education Mean? Recently the Delhi government has placed full page advertisements in newspapers claiming that it is going to effect historical changes in education policy. What are these changes? First, they are going to get accounts of private schools audited to ensure that the fees being collected from students is spent on them. They have clarified that they will not interfere in the internal matters of the school. They will not be concerned with how the money is being spent and what activities are being carried out by the school. Second, they will with draw the provision of not failing any student till class VIII, as this policy has apparently affected the quality of education. Third, at the time of admission to nursery class there will be no donation taken from children’s parents nor will they have to appear for any interview. Half the advertisement has been devoted to the fourth point which will relax the requirement for private schools to pay salaries to their teachers equal to that of teachers in government schools. The education minister Manish Sisodia argues that some private schools don’t charge enough fees so that they can pay salaries equal to that of government teachers and hence indulge in corruption where they pay less than what they make the teacher sign on. It is claimed that this step will reduce the exploitation of teachers. The teachers who are getting salaries according to pay commission will continue to get so and for the remaining it will be ensured that they at least get the minimum salary. Now it should be asked what is historic about these proposed changes?Provisions already exist for some of these proposed changes, it is just that they are not strictly implemented. Can the Delhi government not get the accounts of the private schools inspected? There is also a ban on interview of parents and donations at the time of admission of children to nursery. If the government has publicly said that it’ll put an end to these practices, it implies that irregularities are going on at a big scale and the government is unable to do anything about it. Withdrawing the policy of not failing students till class VIII will affect the children from poor families in which parents are illiterate or less educated and cannot afford private tutions for their children. Children fail to do well in class IX not because they have not appeared for any examination still class VIII but because the teachers, in spite of getting such high salaries, have not performed their duty well. There is not a word about quality of education in the entire advertisement published by the Delhi government. There is no relationship between education and examination. If policy of failing children who don’t perform well even before class VIII is adopted, is there a guarantee that teachers will not help the students pass the examinations by using unfair means? The advertisement says it is the parents who are demanding that examinations should be conducted even in lower classes. Parents may also want their children to be physically punished if they don’t study. Will the Delhi government now come up with an advertisement declaring that it’ll lift the ban on corporal punishment in schools? The real issue is not whether examinations should be conducted or not. To not conduct examination doesn’t mean that the teaching should stop. Rather when the teachers have been freed of the burden to conduct examinations they should spend more time in educating children so that students learn even without passing the examinations. Why should the children have to pay for the negligence of duty by teachers? The above mentioned advertisement was actually placed for the fourth proposal whose stated purpose is to stop the exploitation of teachers by private schools. The Delhi government should ask the schools which are not able to pay salaries equal to that of government schools, why are they running the school sat all? Common norms have been implemented after a prolonged struggle through the Right to Education Act, 2009. The Delhi government wants to revert these. If teachers of some private schools will not get salaries equal to that in government schools and other rich private schools, will they not feel an inferiority complex and hence discontentment? Even though they may not begetting full salary now, since the provision is there they are at least hopeful of getting salaries equal to that in government schools some day. This motivation keeps them going. If the Delhi government is too concerned about teachers in some private schools not being given salaries equal to that in the government schools why doesn’t it take over these schools and pay proper salaries. This will fulfil the long standing demand of common school system so that every child has an opportunity to get roughly the same quality of education. Countries of the world which have achieved 99-100% literacy rates have accomplished it through the government school system. The decision to implement the 1968 Kothari Commission recommendation of Common School System and its inherent concept of neighbourhood school may be called ‘historic’. If the Delhi government is able to take over private schools this will put pressure on other state and even the central governments to adopt this policy. If the government doesn’t want to take over the entire school, they could at least take over the administrative portion of the school which will allow the entry of education department officials in the school to ensure that all government norms and regulations are followed. The remaining activities of the school may be managed by the private management as before. 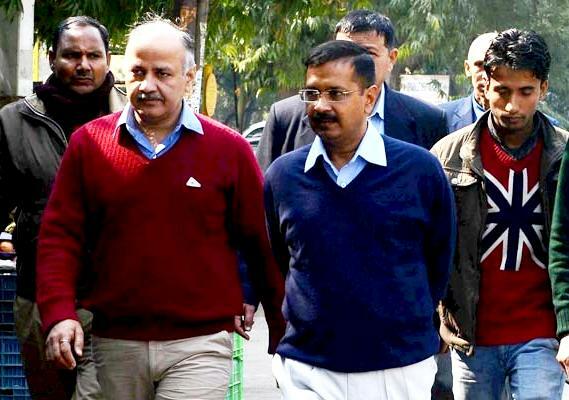 Can Arvind Kejriwal take this ‘historic’ step?